At CVC we use our vans just like you do and we know every single CM of storage space counts. 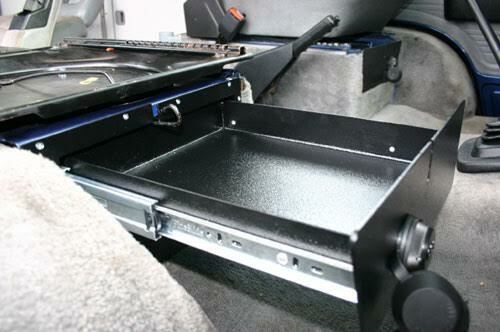 Keeping your valuables safe on the road counts especially when going a good few miles away from home. 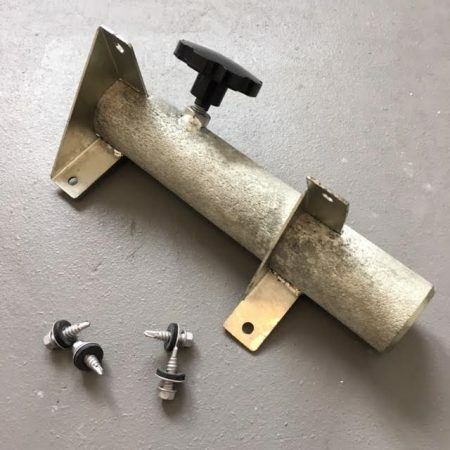 Lets face it any local petty criminal knows there are more valuables to be had in a camper you are living in for a week or two and you can become a target, especially in car parks near ferry ports with 25 year old door locks that one key usually fits all! Just choose the side you want by picturing yourself sat inside your van looking out of the front window. SKU: CVC-RMW-DRAW. 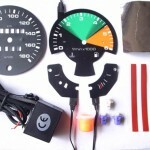 Categories: Interior Parts & Accessories, Latest Products, Rocky Mountain Westy, Vehicle Security, Westfalia Interior Parts. Tags: Draw, mods+upgrades, Rocky Mountain Westy, Under seat. 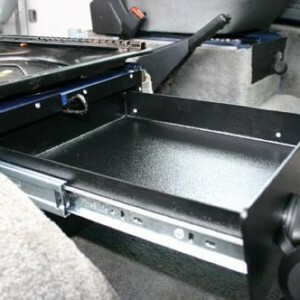 Finally, a very tough lockable storage drawer for your Volkswagen T25/T3/Vanagon camper van doka, single cab or velle is available at CampervanCulture.com that can be fitted under your front seats. Made from thick 16 and 12ga. gauge steel and includes heavy duty ball bearing drawer slides and is very tough. 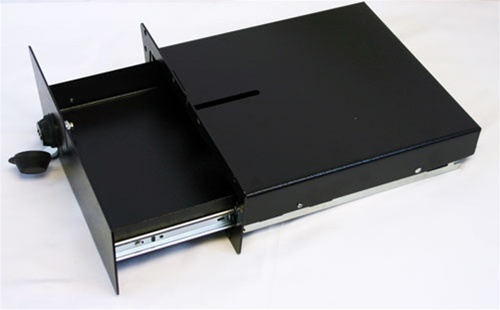 Keep your valuables hidden and secure in this locking storage drawer. Cameras, jewellery, pass ports, wallets, tablets, ipods, keys, mobile phones, you name it! Everything will remain safe and secure in your new drawer. Designed to work with both swivel & non swivel seats. 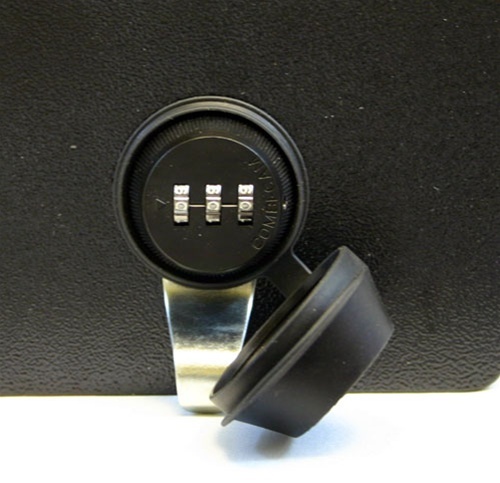 The Combi-Cam lock can be set to any 3 digit combination you like, and changed anytime in the future. 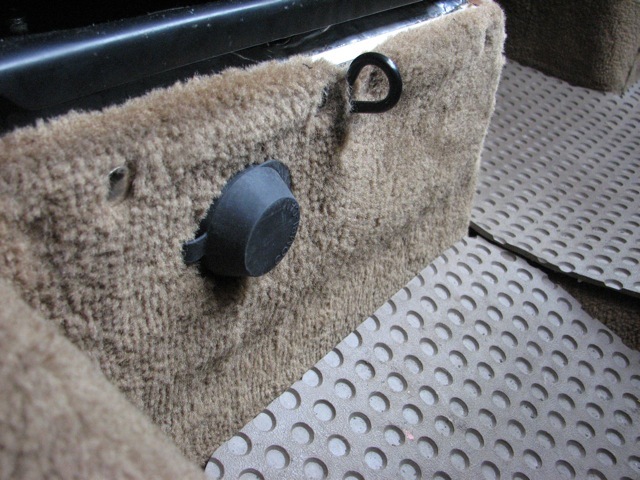 A snap on dust cover is also standard to keep dirt out of the lock assembly on your next adventure. Interior Dimensions are a generous 279.4 x 254 x 50.8 mm. 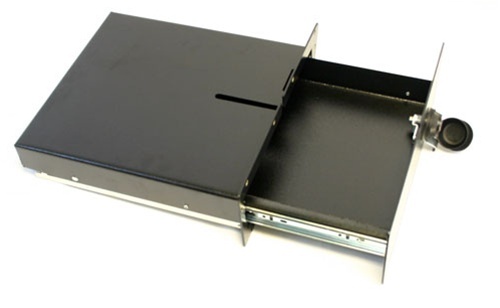 You can even clad your locking draw with your carpet off cuts to make the instal really hard to find. Fitting template and guide can be found here. Just fitted mine under the passenger seat. It was a little bit daunting as it involves taking a jigsaw to your under seat box, but once you’ve committed you’ve got to go through with it. 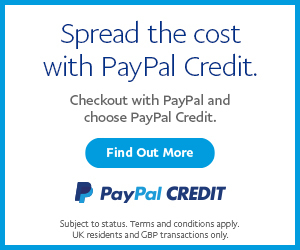 The overall effect looks really tidy and adds both convenient storage and security – as I see it, the easier it is to use, the more likely you’ll use it. The job took at the most 90 minutes, and I guess if I was fitting a second one (and I do want a second one Jed! ), it would take half the time. Fitting notes; you’ll need a jigsaw with a blade for metal, a drill, a hoover (for the swarf). The final corner next to the wheel arch is quite hard to access with a jigsaw, so a pair of tin snips would be good or a hand ‘junior’ saw (that said, I botched it without). You’ll also want a way to smooth down the sharp edges (a file or similar). Take care to note the position of the swivel seat handle – not only as you can see it from above, but also by looking under the seat, and test the handle operates unencumbered, before you drill the holes for the screws. All in all, quite an easy job. Love it! A bit pricey though, but it’s a quality bit of kit. Last bit of advice – I went for the passenger seat version as I thought it would be easier to get to. On reflection, I would have gone for the driver’s seat as it is so convenient to use whilst sat in the seat. Ahem, looks like I will have to get the other side too! Ein perfektes Zubehörteil das einem etwas Sicherheit für seine Wertsachen im VW T3 gibt. Klasse Einbauanleitung (sollte mal ins Deutsche übersetzt werden) mit der man es in 30min schafft die Schublade einzubauen. Das Material und die Verarbeitung ist perfekt und hochwertig.